← ‘Survivor: One World:’ Player-By-Player Odds AND Celebrity Look-Alikes! 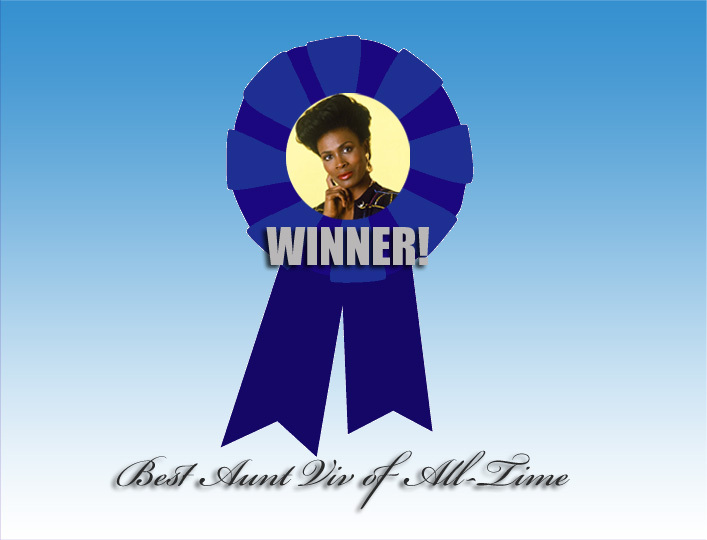 1st Aunt Viv! Of course! In a landslide! It was, as vampires say when they’re washing their young, a bloodbath. 1st Aunt Viv, take your rightful place on the throne as the Queen of Bel Air.